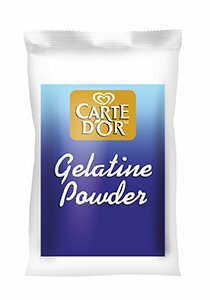 Carte D'or Gelatine creates delicious and simple, gelatin desserts that are hard to beat. It gives the best no-bake treats you’ll find for your guests, gelatin is a powerhouse ingredient! • For preparing different kinds of mousses and jelly etc.